….the path to a life of meaning and significance isn’t to “live in the present” as so many spiritual gurus have advised. It is to integrate our perspectives on time into a coherent whole, one that helps us comprehend who we are and why we’re here. 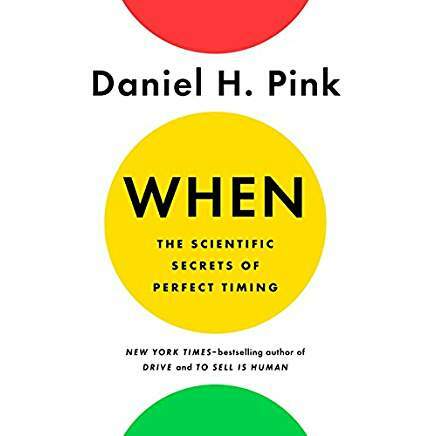 I was inspired to read When: The Scientific Secrets of Perfect Timing after listening to Jeff Goins interview Dan Pink >>How to Use Time to Be Your Most Creative. It was a quick, read with a lot of interesting angles to consider and explore.